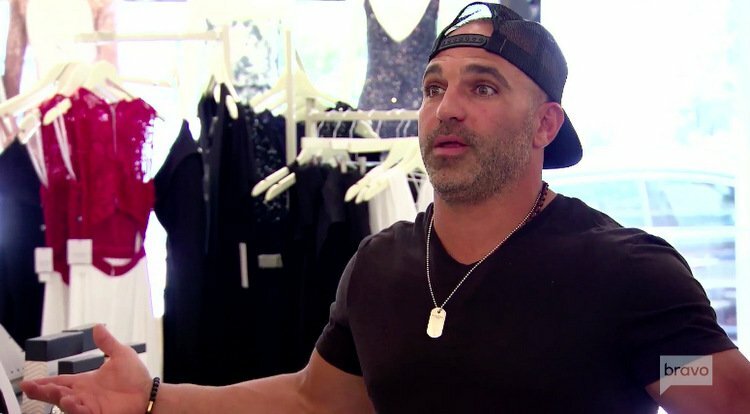 More Trouble For Joe Gorga - Sued By Rental Property Tenants! Dang – January is not Joe Gorga‘s month! Last week he announced his restaurant, Gorga’s, is closing and this week his rental tenants are suing him! In January 2015 one of Joe’s tenants slipped and fell on ice, fracturing his arm, at a “rental property that [Joe] owned under a business name,” explains Gerard Nisivoccia, an attorney for the plaintiff. According to Mr. Nisivoccia, Joe is “the owner of the corporation that owns the property” and is therefore responsible for maintaining the premises safely. Which includes keeping up with winter weather and I suppose monitoring the balancing abilities of occupants? The reason for the suit, and the long delay between court filing and the actual fall, is because Joe “wasn’t responding” to the tenant in response to the incident and the tenant felt they had no other recourse but to get the law involved. I’m sure Joe’s affiliation with Real Housewives Of New Jersey and its accompanying paychecks have nothing to do with it. Page Six says the plaintiff is seeking an unknown amount of damages. Mr. Nisivoccia also reports that they are “waiting on a court date” to address the allegation. In case you’ve forgotten Melissa is also battling her own lawsuit after her former Envy partner Jackie sued her (and Bravo) for $30 million alleging slander and defamation! Back in 2015, the year of the slip and fall, Joe was also part of a lawsuit from Johnny The Greek over a brawl at Posche 2. Never a dull moment in Jersey! TELL US – DOES JOE DESERVE TO BE SUED OR IS THE PLAINTIFF JUST LOOKING FOR SOME RHONJ MONEY?